A christmas gift to myself from myself. 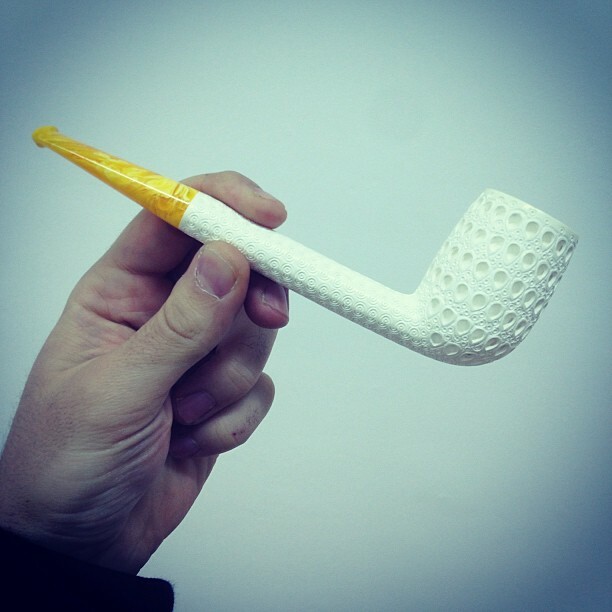 My first meerschaum pipe in my collection. A real lattice. This canadian from Lubinski is bigger than I thought when I ordered it. It means that I can put more latakia inside. I’ll smoke it soon. Joan is smoking today: Markuz + C&D Mississippi Mud.